Neither of these books is a mystery; they are just good books. 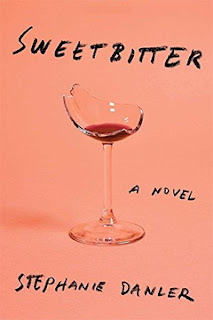 “Sweetbitter” is the debut novel of Stephanie Danler. It’s a novel of evocative food descriptions and metaphors. Both books are stories of girls/women growing into a realization of themselves and their potential. Both Ferrante’s Elena Greco and Danler’s mostly anonymous backwaiter (i.e., busboy/girl) are longing to escape the worlds into which they have been born. Elena does it by discovering and using her academic talents. At the same time, she longs to stay in her Neapolitan cocoon, for better or worse, because of her foundational relationship with classmate Lila Cerullo. Food awakens the senses for Danler’s progatonist, and it begins her journey toward destructive reconstruction. Bittersweet is the happy tinged with sadness; “Sweetbitter” is the sad flavored with euphoria. Although Danler’s protagonist does turn out to have a regular name, she is unnamed for half the book. During the time she is anonymous, she is referred to by the nicknames her coworkers give her, “Skipper” and “Fluffer.” She is a backwaiter at a chi-chi restaurant in New York City, pondering whether she wants to crawl up the ladder to be a god-like server. She is running from a mostly unspecified terrible life in the Midwest but is still full of childlike optimism at the start of the book. After her real name is revealed, the story takes a turn toward the personal, as she indulges in a teenage crush (although she is not a teenager) on the restaurant’s bartender, and tumbles into the after-service restaurant world of drugs and alcohol. Food changes the backwaiter’s life. I remember the violet light of the courtyard, the smells of a warm spring evening. The mothers were making dinner, it was time to go home, but we delayed, challenging each other, without ever saying a word, testing our courage. Both books will drive you to other actions. 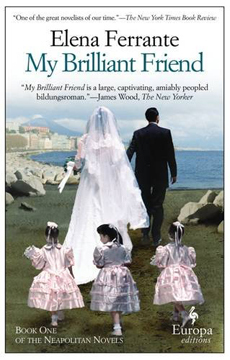 “My Brilliant Friend” will make you seek out “The Story of a New Name,” the next in the series. 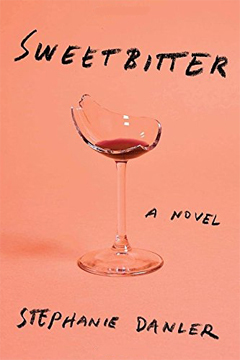 “Sweetbitter” will drive you to taste something simple and exquisite. "Cocaine Blues" is MBTB’s reading group selection for this month. If you live in the Portland, Oregon, area, please join us for a rousing, humor-filled discussion of this book. There is rarely unanimity among us! Tuesday, May 31, 2016, 6:30 pm, Belmont Branch of the Multnomah County Library, 1038 S.E. César E. Chávez Boulevard. Australian author Kerry Greenwood has been writing her Phryne (pronounced Fry-knee) Fisher series for twenty-seven years. There are twenty novels, most of which are available in the U.S., thanks to Poisoned Pen Press. There is even an excellent Australian television series, “The Miss Fisher Mysteries,” which is available in the U.S.
“Cocaine Blues” is set at the end of the roaring 1920s of Melbourne, Australia. 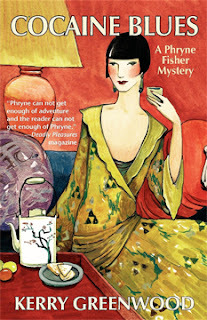 Phryne has brought her dramatic, European sense of fashion with her from England to the wilds of déclaseé Melbourne in order to surreptitiously help a young society wife whose husband is suspected of slowly poisoning her. Along the way she becomes embroiled in finding a man who, in the guise of an abortionist, has been butchering young women. When Phryne indulges her passionate whims with a young dancer, she also finds herself committed to finding the “King of Snow,” the head of the dangerous cocaine pipeline in Melbourne. Phryne is a free spirit with detecting skills, a fashion plate whose accessories include guns and knives, a rich society woman with a first-hand knowledge of how the poor live, a pushover for attractive young men who nevertheless has a steel grip on her common sense. “Cocaine Blues” is a whodunnit with racy bits and a nod to fashion history. 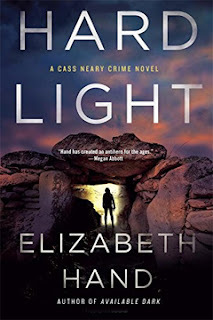 “Hard Light” continues the story of Cass Neary, started in “Generation Loss” and “Available Dark.” As “Hard Light” begins, Cass is fleeing death and mayhem in Reykjavik, Iceland, headed towards death and mayhem in London. Cass is summed up on www.stopyourekillingme.com, the fine website for getting information on crime series, as “an amoral speedfreak kleptomaniac murderous alcoholic bisexual heavily-tattooed American female photographer.” I cannot disagree with any of those assessments, nor can I disagree that I find it all fascinating. Furthermore, Cass is middle-aged and sporting a punk/homeless/thug look and rocking it. By Elizabeth Hand’s admirably deft storytelling, Cass’ tale leads down strange, almost alien or supernatural, paths and swirls down to ever deeper and darker depths. Hand always makes Cass clear and accessible to us. Through the stew of drugs and hard knocks, Cass’ mind remains ready and on call. I’d taken a bad blow to the head in Iceland: This on top of a lifetime of more drunken falls than I could count made me wonder if there was some dark spider nesting in my skull, spinning a toxic web of neurochemicals and failed synapses. Cass has followed her long-ago love, Quinn, into danger in Iceland and now he has led her to more of the same in London. What exactly does he do? Who are his sketchy friends, like Adrian Carlisle, into whose suspect hands Quinn has delivered her? Adrian has a damp, mildewed, slimy bucketful of alarming acquaintances and kips of his own that he grudgingly shares with Cass. Cass sleeps with one of the acquaintances, steals from others, and winds up over her head in a feud about which she knows nothing. Everything seems to relate to a time in the 70s when an outré filmmaker made a movie called “Thanatrope,” starring his inner circle, including a trio of celebrated rock-n-roll groupies. It was not well received, and the artists and muses drifted into obscurity. But something in that past has been driving a sick journey into the present, even affecting the next generation. When the dead bodies — probably murdered — start dropping, Cass skedaddles, despite having to forgo a tenuous hope that Quinn will somehow find her and explain everything. Cass, her instincts failing her, skedaddles to Cornwall, a land still steeped in the dark and mysterious Celtic past. In that lugubrious and melancholic landscape, Cass finds resolutions and yet more darkness. While it is not necessary to have read the other two books, they certainly add to understanding Cass, her cachet, her demons, and her ultimate clarity. Plus Hand brings darkness wherever she goes, and that’s always a thrilling prospect. Belstaff overcoats stained with slush, spines poking through broken umbrellas like the vestigial fingers of bats. Overhead, helicopters droned as distant sirens echoed through the financial canyons. From the corner of my eye I glimpsed flashing blue and red lights that never materialized into a police car. It was like Fritz Lang’s Metropolis filtered through a Lexus commercial. This is not a mystery, but it is a very good book. Would it be indelicate to suggest that the 79-year-old Don DeLillo is contemplating issues of mortality and morality because of his age? If so, I should add that “Zero K” is a masterpiece that deals with what mortality and morality encompass. “Zero K” is also a horror story in disguise. It had me frequently shuddering. The protagonist of “Zero K” has a name but it really doesn’t matter. He has a father and that does matter. Our Lost Man is adrift in his world. No commitment to a romantic relationship, no steady job, no passion. But he has a growing number of tics. And issues with his father who abandoned him and his mom early on. Over the years, the father has made a great deal of money and married a smart and kind woman. Lost Man watched his mother die painfully. Perhaps it is that experience that leads to a mental block about how his stepmother and father have chosen to die. Or it could be that he has a good sense of what’s crazy and wants to stay away from it. Stepmother has some physical disorders and she is days away from dying when Lost Man is flown by a mysterious and confusing route to a secret installation somewhere in a country that used to be part of the USSR. In that retreat/laboratory/hospice, the stepmother is being prepared — being prepared — to die. She will be preserved cryogenically and repaired with nanotechnology, someday to awaken into a world that, having destroyed itself ecologically and politically, will need to be rebuilt by the elite. Lost Man enters into a semi-hypnotic state, triggered by the provocation of the alien, specially designed and decorated environment of the facility. He is beset by people and forms that initiate an introspective dialogue about the nature of death and physical presence. He mulls the meaning and restriction of words in English and other languages. He investigates the morality of dying before there is actually a reason to die. He ponders the otherness of people whose actions are unpredictable. And always, there are images he sees about the deprivations, conflagrations, and hostilities that are going on in the outside world. This is the perfect existential novel, if you are not too strict with the definition. But, of course, it is more than what the novel is, what it’s meant to convey. 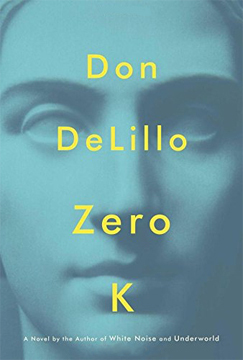 DeLillo has won major awards and given us books that should stand the test of time because he can exquisitely put words together. He surely must spend a lot of time tasting, teasing, and turning over the meaning of words, how best to use them, how to stretch them, how to provoke a feeling in his readers. The Lost Man is his stand-in for that obsession. And is the father also a stand-in and, if so, for what? The father struggles with living, then he struggles with dying. He appears not to be good with either, caught by imperfect expectations of himself. I don’t know Mr. DeLillo, but perhaps he has created an anti-DeLillo in the father. Author Spencer Kope has created an unusual character in FBI Operations Specialist Magnus Craig in Kope's debut novel..
Magnus, or "Steps," as he has been nicknamed, has the capacity to see auras or "shine," as he calls it. Every person leaves a trace of him- or herself throughout life on the surfaces he or she touches. Steps was left with this ability after a mysterious incident in his childhood. With the help of the few people who know of his ability, he has managed to bring his "talent" under control. He now uses it to track missing people for the FBI. Steps is an endearing character, not macho or even sociable. Wracked with other psychological disabilities, Steps is out of step a lot of the time, but not when it comes to his job. Special Agent James Donovan is Steps' partner. He is one of the few who knows about "shine." Together they track missing people, some of whom are victims of serial killers. Donovan helps Steps cover up his talent. They concoct an acceptable way to logically present their process for arrest and prosecution. Your Honor, I saw a shining trail leading to the victim just won't cut it in court. As we follow Steps, our narrator, we discover that he and his partner have come across another serial killer, whom they dub "The Sad Face Killer" for his trademark sad face design left during the course of his killing. Steps can also discern whether a person is still alive by looking at the person's shine. One of the young women presumably kidnapped by the killer is still alive, and it's a race to find her. It is also a race to find the killer before he turns the tables on Steps and Donovan, and makes them his targets. After all, Steps' talent can only say where the killer has been, not what he is going to do. Crafted with likable main characters and associates, and an interesting plot, "Collecting the Dead" should be the start of a long-lived series.